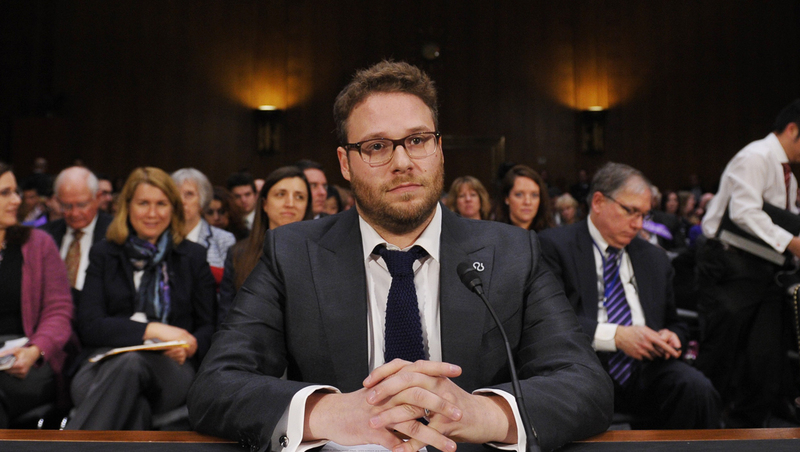 Funnyman Seth Rogen went to Washington to address a non-laughing matter. The "This Is the End" star appeared on Capitol Hill Wednesday to speak before the Senate Committee on Appropriations about the rising costs of Alzheimer's disease on Americans, and to address the lack of funding for adequate treatment or a cure. Rogen has been married to screenwriter-actress Lauren Miller since 2011. Miller's mother was first diagnosed with the disease almost 9 years ago. Although speaking about a grim subject, the comedic actor did inject a little humor into his testimony. "First I should answer the question I assume many of you are asking," Rogen said before the committee, "Yes, I'm aware this has nothing to do with the legalization of marijuana." His opening statement was met with laughs from those in the congressional audience, before he then gave a personal account of how the disease has affected him and his wife's family. "After forgetting who she and her loved ones were, my mother-in-law, a teacher of 35 years, then forgot how to speak, feed herself, dress herself and go to the bathroom herself, all by the age of 60," Rogen told the committee. He added, "Another thing I didn't realize until I was personally affected was the shame and stigma associated with the disease. It was before I was born, but I was told that cancer had a stigma that people were ashamed by. Celebrities and other public figures would hide rather than be voices of hope for people in similar situations, and although it's turning, this is currently where we are largely at with Alzheimer's disease it seems like." Rogen also spoke a program he started with his wife and several friends, called Hilarity for Charity, to help raise funds to combat the disease.
.@SenatorKirk pleasure meeting you. Why did you leave before my speech? Just curious. Not sure why only two senators were at the hearing. Very symbolic of how the Government views Alzheimer's. Seems to be a low priority.